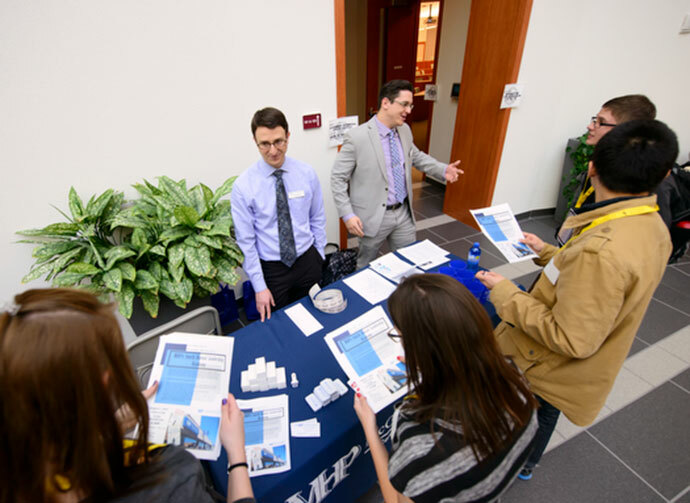 The Center for Professional Selling involves cross-campus collaboration producing a multi-disciplinary program focused on developing long-lasting customer relationships. The Center for Professional Selling promotes professional selling and sales management, delivers innovative sales instruction, provides industry engagement opportunities, and conducts research that advances the field of sales. Through the use of software and technology within the classroom, our students experience how the effective use of customer and market information is critical when engaging today’s customers. The program’s strong curriculum and experiential learning opportunities earned it the distinction of a “Top University Sales Program 2017” by the Sales Education Foundation. The University of Wyoming offers a Bachelor’s of Science Degree with a Concentration in Professional Sales. Students that pursue the professional sales concentration will complete a 4-class series while being challenged with industry engagement opportunities such as internships, mentorships, and sales competitions. Graduates of our program have the capabilities to immediately add value to the companies they join and rapidly advance through the sales organization. Currently, a minor in technical sales and certificate options are also being designed. This curriculum will allow for students to explore sales opportunities regardless of their program of study. In this Professional Selling class we will focus exclusively on business-to-business selling. We will explore business-to-business selling for multiple points of view. First, we will take an in-depth look at Organizational Buying Behavior to develop an understanding of the business customer. Next, we will investigate the process that a salesperson goes through in order to present solutions to customers. Lastly, we will explore how sales people and sales forces are managed to reach organizational goals. This course is designed for students from various disciplines who want to explore sales-focused opportunities within their field of study. This course fulfills the University Studies Program Communication 2 requirement. This course provides students in-depth study of advanced sales concepts including relationship management, problem solving, negotiation, and proposal writing. It also explores the use of data-based decision making and the use of selling technologies. Thus, this class is designed to reinforce and enhance your selling skills. By the end of the course you should be able to team sell; analyze real-world situations and use customer and market information in order to identify problems and opportunities, recognize and articulate your position, evaluate courses of action, and communicate different points of view; understand/explain how Customer Relationship Management (CRM) facilitates sales and other long-term customer value; complete a sales cycle and various administrative functions of personal selling with sales force automation (SFA) technology using one or more SFA tools. The objectives of this course are: to examine the linkages among management of the sales function, personal selling activities, and the marketing area; to gain an understanding of the role of the sales force in achieving of the firm's marketing objectives; to develop an understanding of sales practices through the analysis of numerous case-based sales management issues, including hiring, firing, training, motivating, compensating, and evaluating sales personnel; to develop decision-making skills and analytic capabilities around the development and management of both the sales function and salespeople. This course provides students in-depth study of advanced, and cutting edge sales and sales management concepts presenting by top talent in industry. 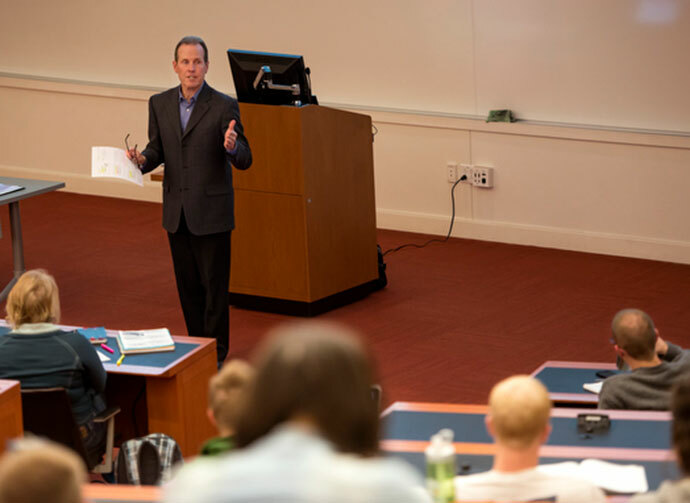 While topic can vary, this seminar teams students with industry experts to explore state-of-the-art thinking in technical sales, sales management, sales training, compensation, and team selling. By the end of the course you should be able to effectively communicate with industry experts, understand key issues impacting the sales function across various industries, effectively pitch ideas, conduct research to fully explore topics of interest to sales and marketing executives.